Go the extra mile with our Crossline Tank. 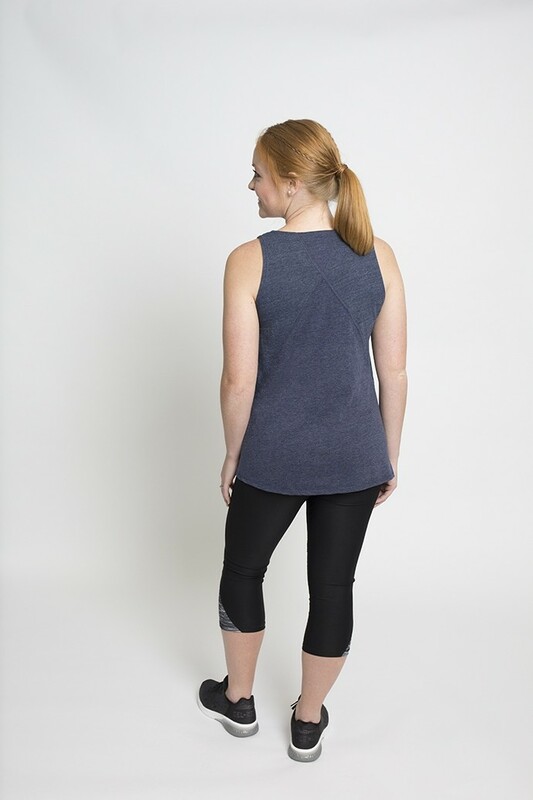 This sporty tank top is the perfect fit for running and is a great athletic layering piece. The v neck and relaxed fit is flattering on anyone. The front is a triblend jersey and back has matching polyester/cotton mesh vents. The model is 5’6” and is wearing a size medium. The base shirt is Boxercraft and is an easy fit. This is a nice casual top with a loose fit! Very comfortable too. A bit on the pricey side, but nice fit and moisture wicking.